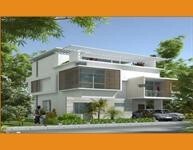 588 SQ Y---W/F--3900 SFT--4.00 CR. 1000 SQ Y--E/F--6500 SFT--7.50 CR INTERORS DONE. VILLAS IN MAGHADA, KOKAPETA, HYDERABAD . 200 SQ Y--E/F--2600 SFT--1.45 CR.